It's the last week of summer vacation at our house. Next week, it's back to school. I thought some review could be good, and found a fun way to review math facts. Shhh...don't tell the girls. I spun this one as a "game." You can play too, if you like. This one is called "Fifteens." 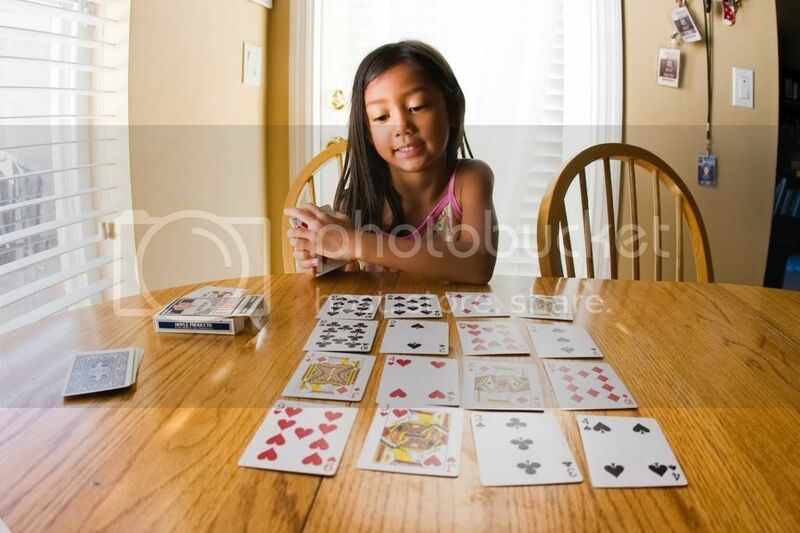 Start by dealing four rows of four cards each. The goal is to remove all the cards into your discard pile. Tens, Kings, Queens, and Jacks of the same suit must be removed all at once. The rest can be removed in any number of cards that add up to 15. 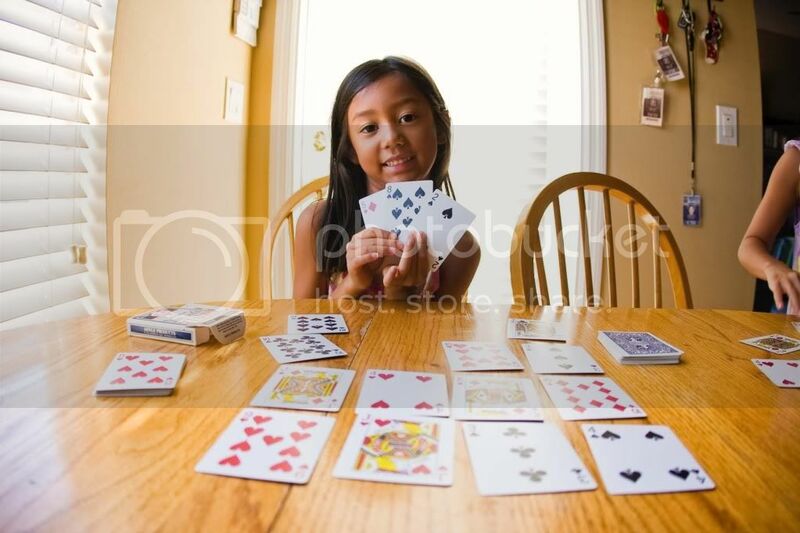 You win if all the cards are discarded. Happy adding!